I bet you already know how to read a book because you were taught in elementary school. But do you know how to read so that you can gain the most out of it? Reading more books is pointless unless you can make something out of it. You see, there is a difference between reading for information and reading for understanding. The difference in reading for information and reading for understanding is like the difference between simply knowing the name of something and actually understanding it in the context of the real world. 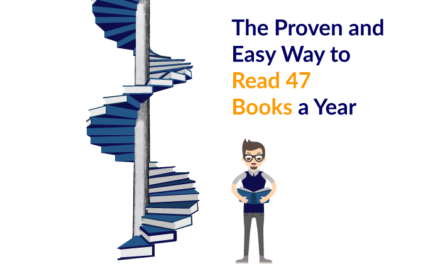 Mortimer Adler and Charles Van Doren first conceptualised the four reading levels in How To Read A Book, first published in 1940, and updated in 1972. Despite the book having been conceived in a pre-digital era, it is still relevant today and almost seems prophetic in how we read in the digital age. 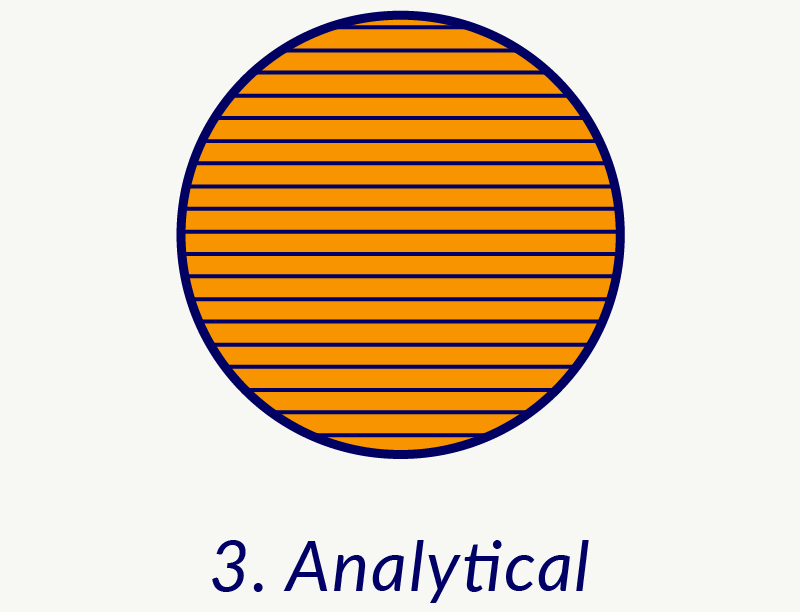 Each of these reading levels has the characteristics of the previous one, and builds on it, till you get to level 4. 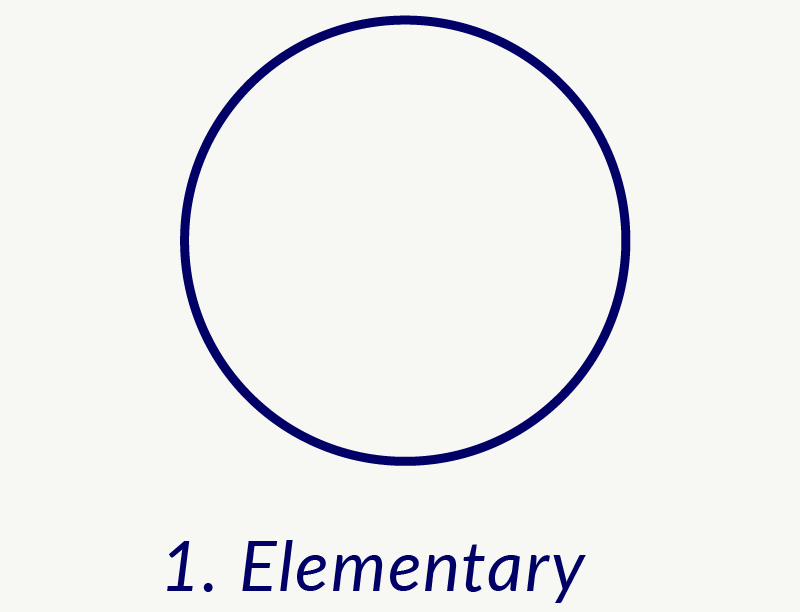 So syntopic reading (level 4) includes characteristics of elementary reading (level 1), but it doesn’t apply vice-versa. So let’s see what these reading levels look like, shall we? When you are trying to learn a foreign language, you are using elementary reading – you actually don’t understand what is being written and you simply see black stains on a white background, trying to understand the individual words being written there. An example would be if I just started to write in my native jezik pa ti onda ne bi ništa mogao razumjeti i sve bi ti ove riječi izgledale kao hijeroglifi. The next reading level is where it gets interesting. 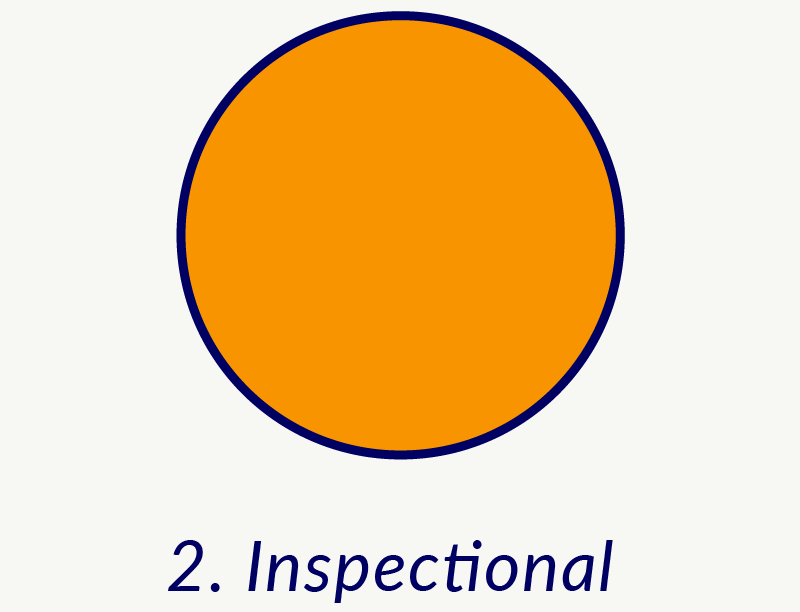 Inspectional reading actually has two sub-types- systematic skimming, and superficial reading. The main question this level of reading is trying to answer is “What is the book/article about? This can be applied to almost everything you read so I will take an example of an article here. First, you look at the title of the article and if it’s appealing, you open it. Then you scroll through the article and read the sub-heads to see what the article is all about. If it seems interesting, you scroll back to the top and read the first 30-50 words of the intro and then scroll down to the first subhead. After reading a few sentences under it, you proceed to do the same for each subhead till you reach the conclusion and get the overall point/idea of the article. We use this kind of reading when we lack the time to read the material in-depth or when we need information urgently. The second sub-type is when you simply read. You go from page to page, reading every single word but not stopping at any. It doesn’t matter if you understand it or not, you simply move along. You don’t ponder the arguments presented by the author or try to write in the margins. This type of reading is most commonly used for entertainment and information. This is what people usually do when they read newspapers, taking in every information at their disposal. When discussing what they’ve read, they often regurgitate someone else’s opinion without questioning it. But this kind of reading is also used for relaxing, for example, when you are reading Bridget Jones’s Diary or Twilight. So if you want just information and relaxation, you mostly use this kind of reading level. But if you want to understand, you need to use the next level. 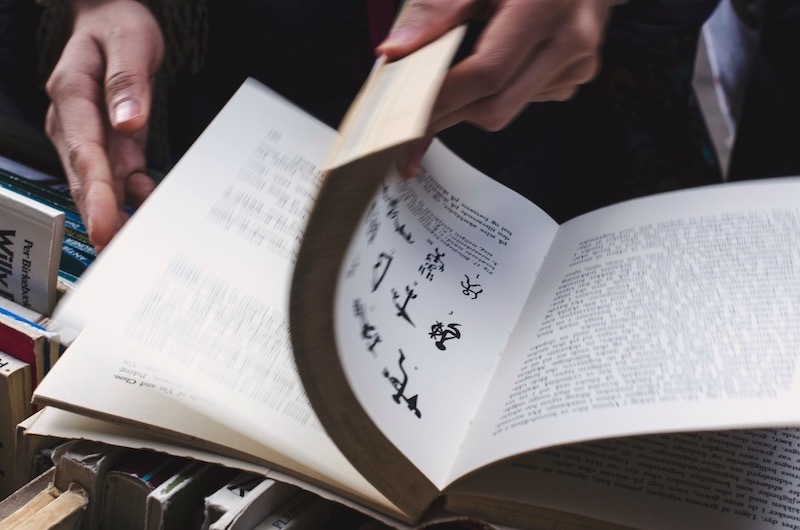 Analytical reading can be called ‘the best type’ of reading, and is the most complete form of reading, but is only possible if you have unlimited time and it tends to take a heavy toll on the reader. This style is used if you want to understand the topic in depth, as you end up asking many questions about the book you are reading, and you have to organise your thoughts in a systematic fashion. It is recommended that you use this style only when you want to understand the topic – otherwise, inspectional reading is adequate. Francis Bacon said, “Some books are to be tasted, others to be swallowed, and some few to be chewed and digested.” When you are reading a book analytically, you are chewing and digesting it. You end up writing in margins because it is like having a debate with the author. You ask yourself what problem or problems the author is trying to solve and how he reached a particular conclusion. After this kind of reading, you will have an understanding of the book and the author’s point of view on the subject. But that doesn’t mean you will understand the broader subject. You will only have one piece of the puzzle. For you to achieve an understanding of the broader subject, you will need to use syntopic or comparative reading. 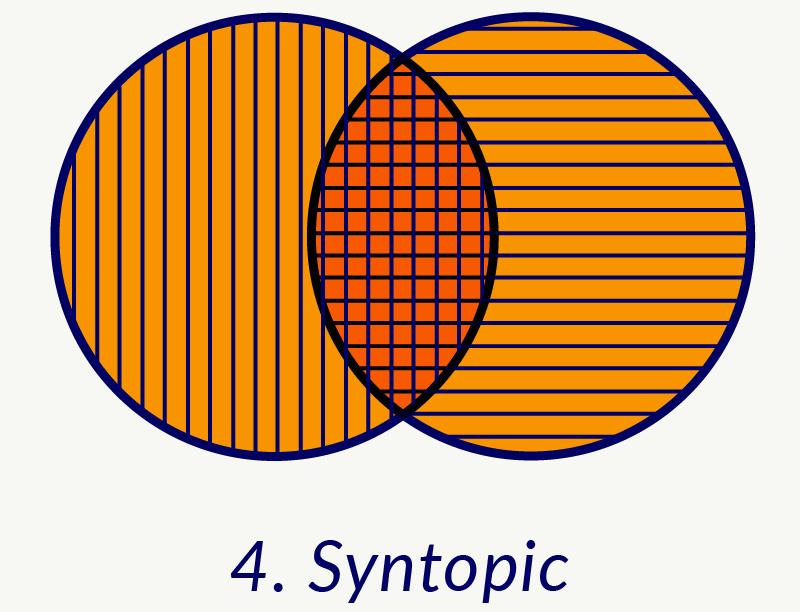 Syntopic reading is also known as comparative reading. So what do you do here? You read many books on the same subject and compare and contrast the ideas presented, the vocabulary used to define elements, and the way arguments are presented. Syntopic reading includes finding the relevant passages where the information resides, translating the terminology of the book (and creating your own), defining the questions you need answers to (and looking for them in the book), and at the end, forming an intelligent opinion by analysing all the information you have gathered. Syntopic reading is one of the most demanding and difficult of them all and at the end, you will find opposing views which stand almost equally strong. But just remember, it’s about your purpose, not the books you read. 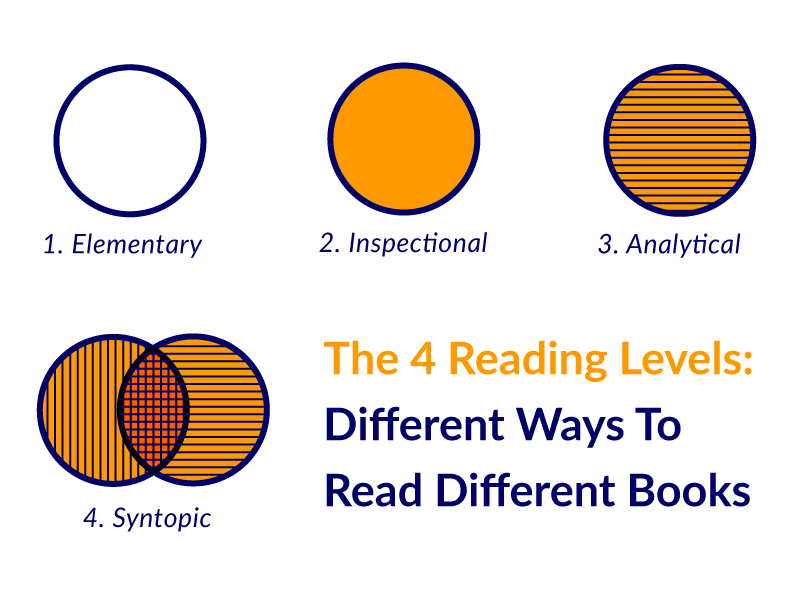 We have covered the four levels of reading: elementary, inspectional, analytical, and syntopic. And at the end, reading is all about figuring out the answers to our questions. So remember the next time when you read a book or an article ask yourself “what do I want out of this book” because that should determine what kind of reading you will use for it. You will be surprised by how different your experience of a book is depending upon which level of reading you use. What do you think of the four reading levels? Which level do you use the most? Share with us in the comments. 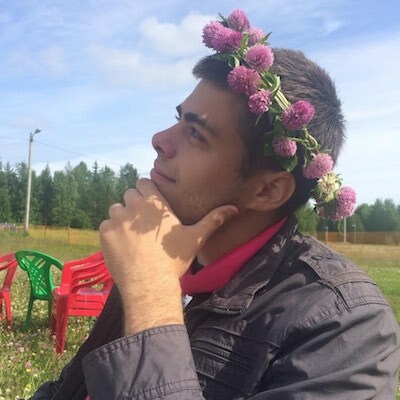 Bruno Boksic is a writer at Medium. An avid reader of personal development books, with 7 years of experience in helping people become the best version of themselves. He doesn't have all the answers, but the ones he does, he shares through his writing.